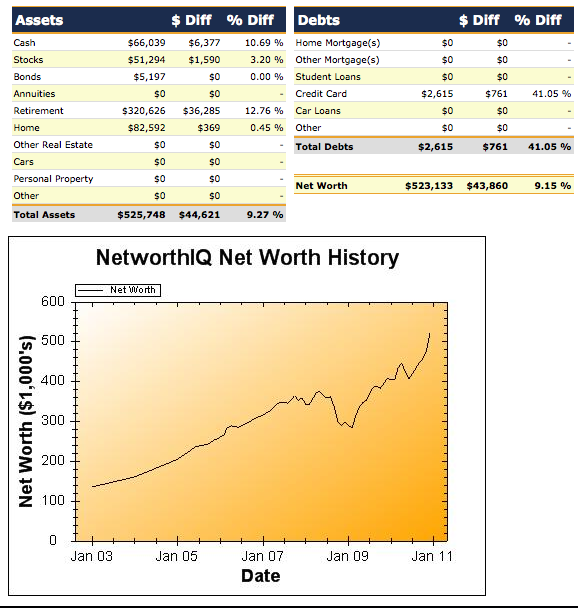 I ended last year with a net worth of about $565,459, up from $523,133 in December 2010. 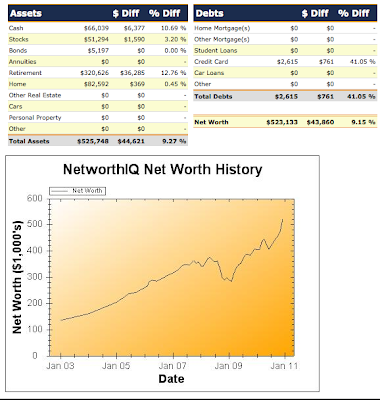 A gain of $42,326 or 8% is nothing to complain about, but it falls far short of my goal of $600,000. The good news is that I saved money, and I put more of it into investments. But it wasn't a great year for the stock market. 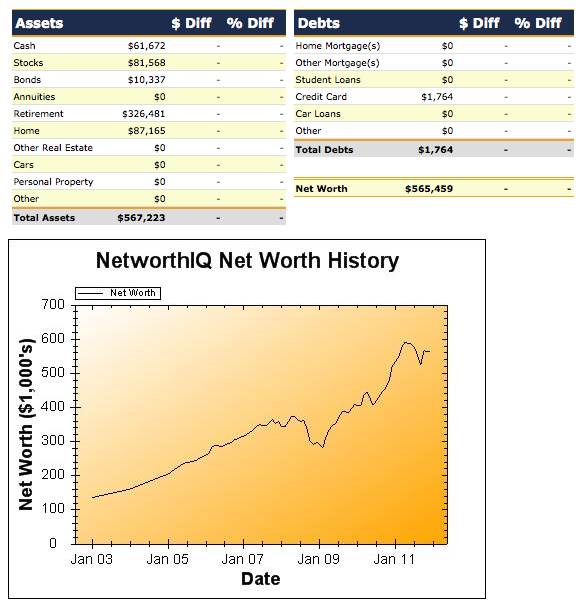 The net worth graph really shows it-- it's the least upward-sloping period since the big crash in 2008. Oh well-- not much I can do about that. I just have to keep controlling what I can control, and hoping for better luck with what I can't control! How do you like this site? 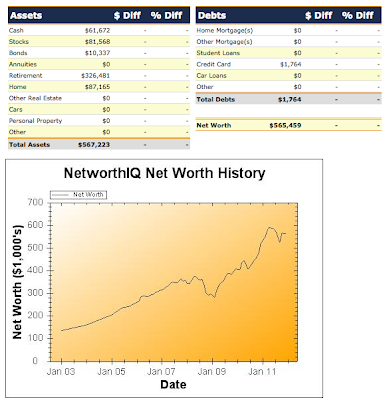 I use Mint for my monthly budget tracking, but need something for my net worth that will take into account all investments. It's very essential to increase networth each year! it saves quite a good amount of money which can be invested for some beneficial purpose. I've been reading for a while but I must have missed the part where you paid off your mortgage. Did you ever do a post on that? If so, could you?